Today is a reminder that there are only three days left in this year to do some of the things you resolved to do last January. How did you do this year? Is there enough time to finish what you started and meet your goals? 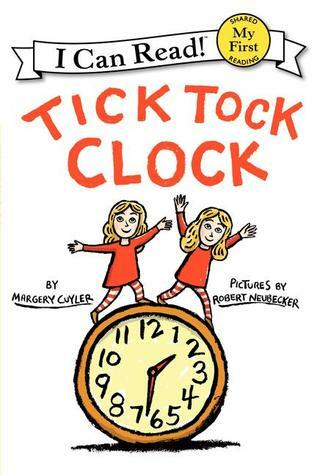 Cute rhyming book about the twins’ day. Each hour on the clock is rhymed with the activity of the hour. The girls begin their day being dropped off at Grandma’s house while Mom goes to work. All day long they play with blocks, eat lunch on the dock, take a walk around the block, make dinner in the wok, and when Mom arrives to pick them up, Grandma falls asleep like a rock! 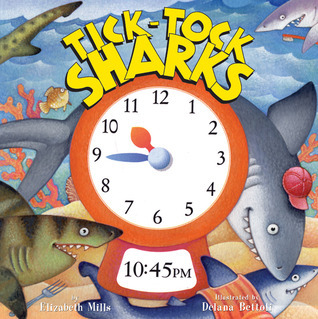 This fun telling-time book has a moveable clock on the cover for interactive learning and fun. The sharks begin their day at 8:00 in the morning. Every hour, there is another type of shark and a new activity. The day ends at 7:00 at night with leopard sharks going to sleep. Rabbit can’t sleep with the constant tick-tock of the clock. 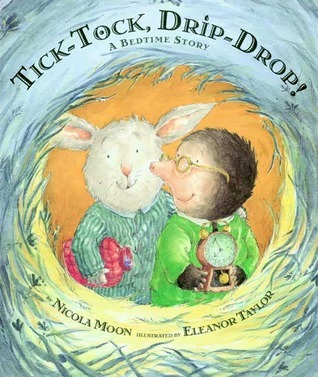 Mole took care of the clock, but then Rabbit couldn’t sleep because of the drip-drop of the faucet. Mole took care of the faucet, but Rabbit couldn’t sleep because of the purr-purr of the cat. Mole took care of the cat, but Rabbit couldn’t sleep because of the bang-bang of the gate. Mole took care of the gate. Finally Rabbit went to sleep, but Mole couldn’t sleep because of the snore-snore of Rabbit. So Mole took his blanket and pillow and went downstairs. Mole fell asleep with the soft purr-purr of the cat.